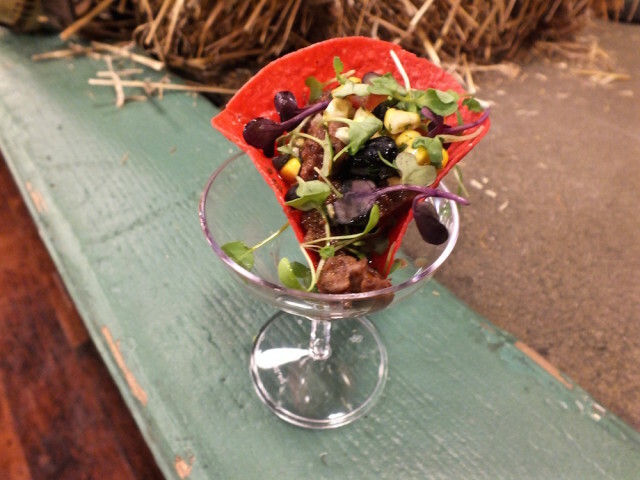 Beef Cheeks with Corn Salsa. Photo by Ed Simon for The Los Angeles Beat. Myron Mixon, Kermit from Outta Gas BBQ Team and Moe Cason. Photo by Ed Simon for The Los Angeles Beat. Beef Shoulder Sliders. Photo by Ed Simon for The Los Angeles Beat.